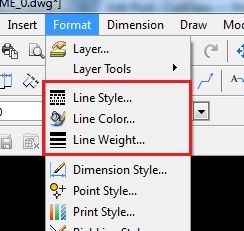 We can format lines by changing Lines properties such as LineStyle, LineColor & LineWeight. These properties are different than Layer properties. If you change Line Color from Format > Line Color it will not changed in Active Layer color. These LineStyle, LineColor & LineWeight properties can be changed from ‘Format’ Menu . How to use these Line Properties? Go to Format Menu > Line Style , It will open Line Style dialog box. Or You can run LINESTYLE command. You can Load New line Styles from ‘Load..’ tab. 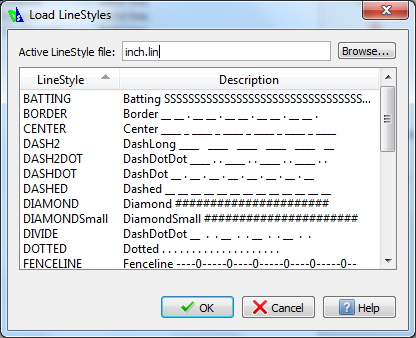 Active LineStyle file is inch.lin Click ‘Browse…’ to load MM.lin LineStyle file or any other Custom line Styles. Select Line Style for ex. Center and Click Ok on dialog box. 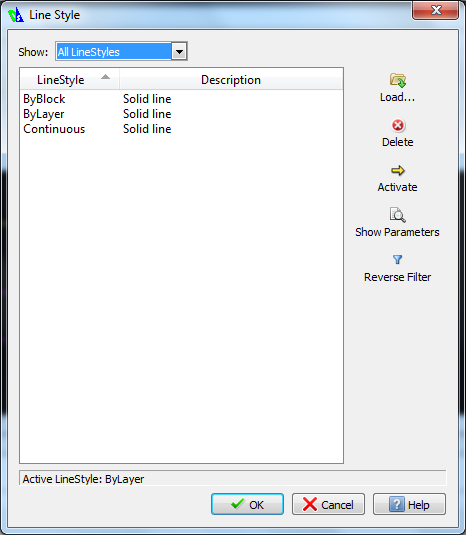 Select Line Style and click ‘Activate’ and Click Ok.
Run LINE command and Draw Line in Drawing Area. Now we will change Line Color. Go to ‘Format’ Menu > Line Color. Or you can run Command LINECOLOR from Command Line. 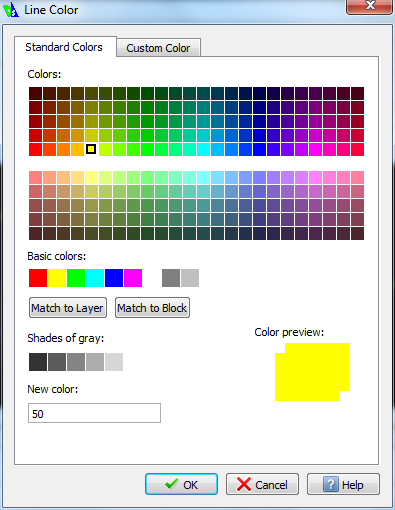 Select Line Color and Click Ok .
You can match to active Layer color or Block by click on respective tabs. It will open ‘Options- Line Styles’. We can change Active Line Weight or Default weight from List. Also we can toggle between Inches and Milimeters. 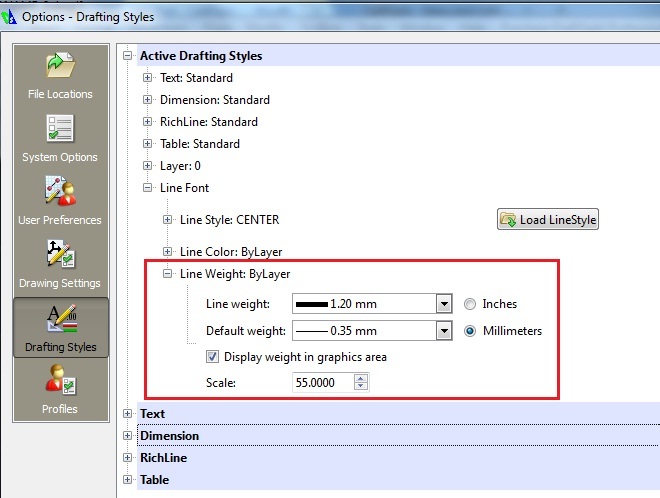 Select Check box for ‘Display weight in graphics area’ to display line weight in GA. Tip: run ENBLLWTDSP system variable to enable line weight display On or Off. We can change all these Line Formatting from ‘Properties’ toolbar .